Featuring a white mother-of-pearl dial, this chic timepiece features no less than 11 dazzling diamonds acting as hour markers. This Swiss made watch was made to be both pretty and precise, with silver tone stainless steel hands to co-ordinate with the classic bracelet. 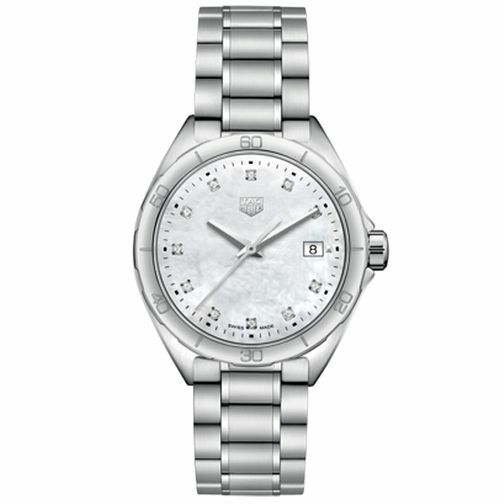 A dainty date display sits at the 3-o-clock position, an understated beauty to compliment both casual and eveningwear.